Sometimes, important truths sneak out of hiding and rush right up into our faces—at the most unexpected times and in the most unusual settings. 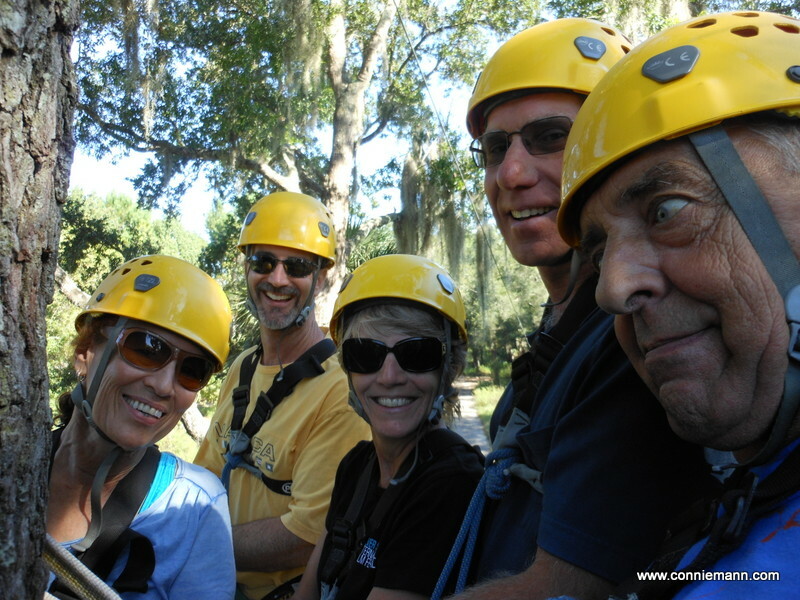 This happened recently, when good friends invited hubby and me and another couple to join them for a Zip Line Adventure. 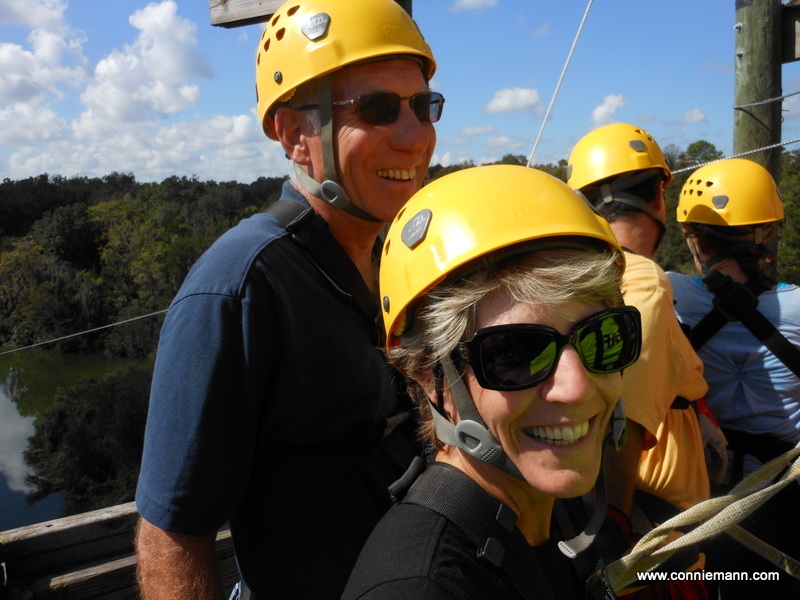 In case you’re unfamiliar with zip-lining, it’s an outdoor activity where you don a helmet and harness and get hooked to a cable before you step off a platform and zoom along at speeds upwards of 30 mph. We weren’t quite sure what to expect, but discovered it’s not nearly as scary as it sounds! 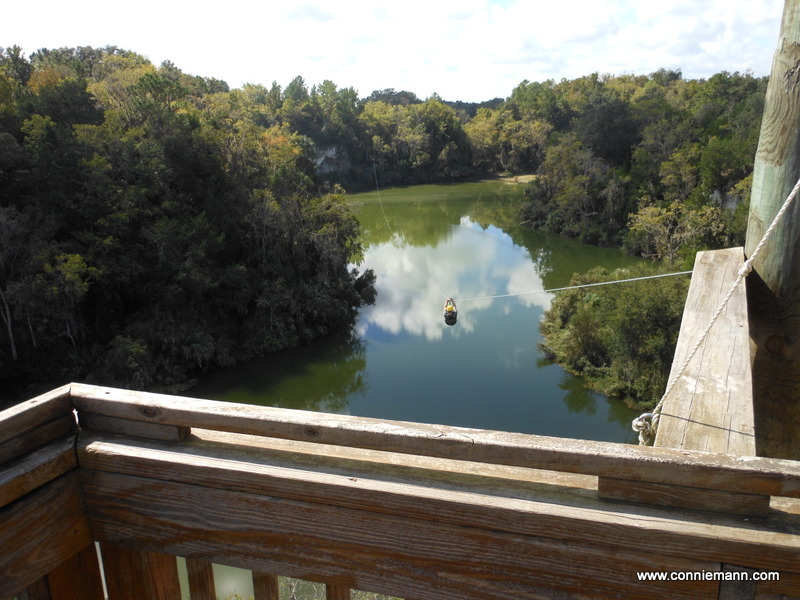 The place we went is called The Canyons ZipLine & Canopy Tours, a name that makes perfect sense if you live in say, North Carolina. 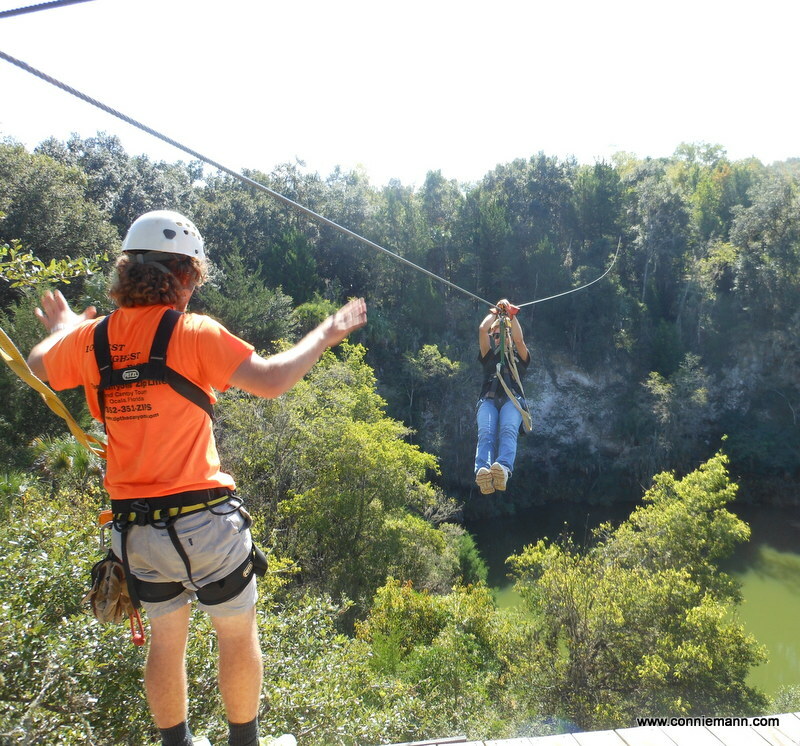 This is Ocala, Florida, which has never, ever been known for anything resembling a canyon. Florida is generally flat. 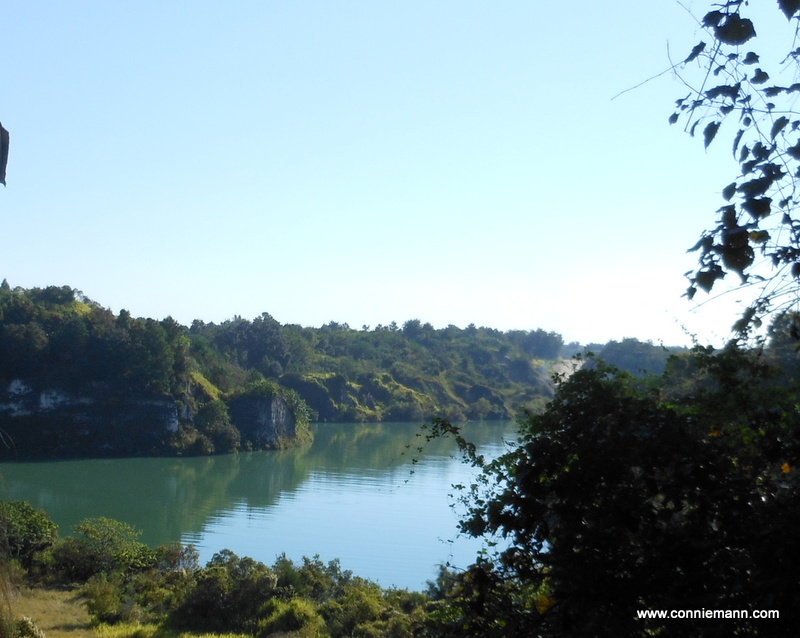 We saw pictures on the website, which said the property had been a limestone quarry that closed in the 1920’s, but…still. We were skeptical. Until we arrived and saw this. This was uncharted territory for most of us, so we arrived with a mix of excitement and uncertainty fluttering in our bellies. But every single one of us was ready to do it again. And again. The beauty was incredible and the rush of zipping along, breathtaking. Think of all we’d have missed if we had let fear hold us back. Now I know this isn’t something everyone can—or should, for health reasons—do. But when was the last time you stepped out of your comfort zone and did something totally new and completely different? And if you haven’t taken a risk lately, I challenge you to get out of your comfort zone. Even if it’s the equivalent of the Bunny Zip. It will be worth it. Great article Connie. It just popped up on FB as I was getting ready to exit. Sorry about the whole seeds thing but I am very glad to have connected with you. What a day to remember! You message about managing fear speaks to me. Thank you! It was a fabulous day, Sara! I hope it encourages you to take some risks, too–despite the fear!